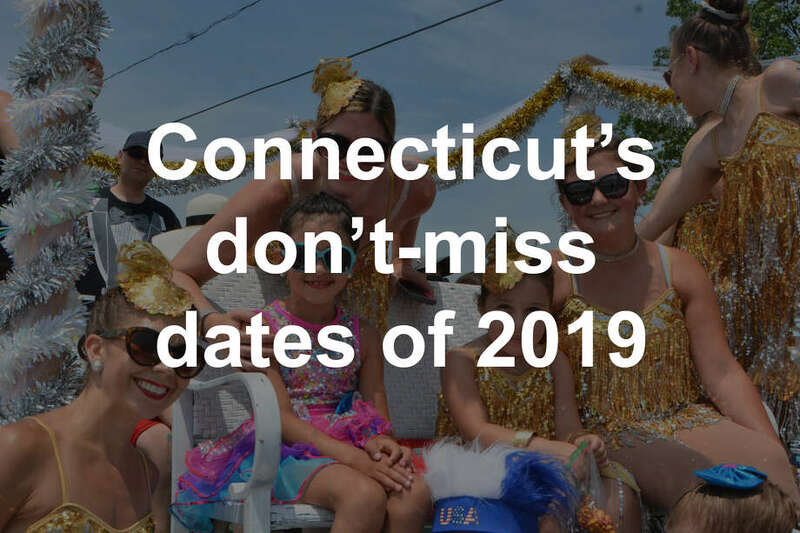 With spring upon us, some of the most highly-anticipated annual events in the state have announced their 2019 dates. Click through and mark your calendars. Emmy award winning actress Tracee Ellis Ross will be the keynote speaker at the Fairfield County Community Foundation Fund for Women and Girls annual luncheon. Find out more. The Fairfield Plunge - a Penguin Plunge Event - is one of the largest grassroots fundraisers to benefit Special Olympics Connecticut. Plungers raise funds to Plunge into the chilly waters of Connecticut. Your participation provides funding to support over 12,000 athletes and unified partners who participate in Special Olympics Connecticut’s year-round training and competition in 26 sports. Find out more. Parades, galas, fireworks, road races and more. Find out more. "Held each year on the last weekend in April, the Meriden Daffodil Festival is fun for the whole family! With exciting rides, unique and creative foods, a juried craft fair, and an amazing fireworks show—all set against 600,000 beautiful daffodils." Find out more. "Hosted by Greenfield Hill Church for almost a century, the annual Dogwood Festival welcomes visitors from far and near to the beauty of this historic area. With activities for all ages, and crafters from around New England, the Festival offers something for everyone! All net proceeds from the Festival go to support charities serving people in need locally, nationally and internationally." Find out more. Now in its 8th year, this all-day family-friendly music festival features renowned and emerging artists and brings multiple generations of Greenwich residents together to celebrate town pride and the spirit of giving. Find out more. Each year celebrities and cinephiles come to Greenwich for the GIFF. The mission of the Greenwich International Film Festival is to provide filmmakers with an effective platform to showcase their work with the goal of finding financing opportunities for future projects. Find out more. The Fairfield Road Races are a unique community event in Fairfield, Connecticut. The event has a celebrated history of regional participation and broad-based community support. The races have gained national acclaim and a large international following. Find out more. The area's largest pride event, hosted by the Triangle Community Center. Find out more. The poshest picnic around. Find out more. Food, animals and an authentic country experience. Find out more. Live music and oysters galore. Find out more. There will be an after party at Bar. Find out more. Music, rides, tons of oysters. Find out more. This year marks the fair's 100th year. The Durham Fair is owned and operated by the Durham Agricultural Fair Association, Inc., and is a private, not-for-profit corporation. The Durham Fair is one of the largest fairs in North America managed entirely by unpaid volunteers. Find out more.